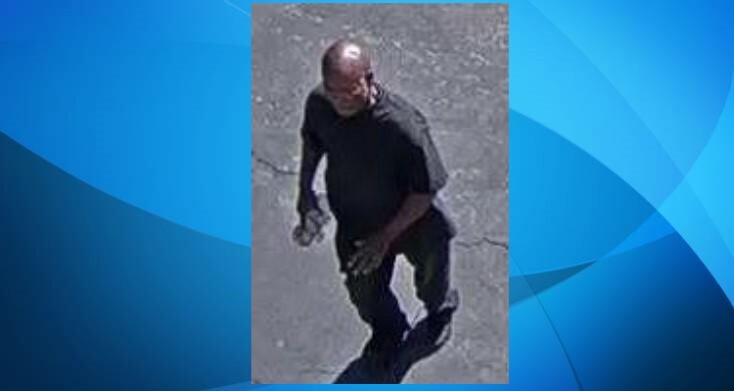 LANCASTER – Local sheriff’s detectives have released an image of the suspect accused of stabbing a man multiple times outside a Lancaster supermarket. 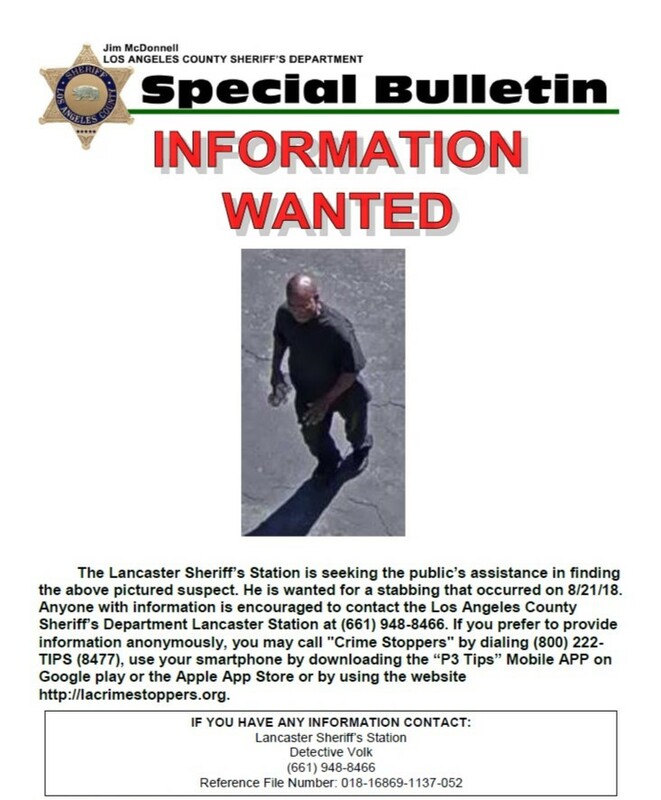 The attack happened Tuesday, Aug. 21, outside the Stater Bros. supermarket on 20th Street East and Avenue J in Lancaster, according to a news release by the Sheriff’s Information Bureau. “The victim confronted the suspect who was rummaging through the victim’s backpack. The suspect, a male black, 40 years old, approximately 5 feet, 6 inches tall, stabbed the victim multiple times then fled the area,” the news release states. “The suspect is believed to frequent the area of Avenue J and 20th Street East. He may be homeless and rides a black bicycle. He may also have a white goatee,” the news release states. An update on the victim’s condition was not immediately available. Anyone with information on the identity or location of the suspect is encouraged to contact Detective Kaylee Volk at 661-940-3886, referencing File Number: 018-16869-1137-052. Anonymous tips can be submitted through Crime Stoppers by calling (800) 222-TIPS or at lacrimestoppers.org. UPDATE: The suspect was arrested, the sheriff’s department reported. His name was not immediately released. 5 comments for "Suspect sought in Lancaster stabbing [Update: suspect arrested]"
… no place on planet Earth are the hoodlums, the punks, the brothas and the gangbangers made to feel more welcomed, and at home than, the City of Lancaster. I love to see a diesel truck driven into mister stabby but he look like someone(s) I’ve seen at the local liquor store, the local rite aid, Walmart, Ampm, lancaster blvd strip, Winco, etc, etc, etc…. God! Alot of em look the same, I should just put the truck back in the garage. Too bad the victim didn’t have a ccw. But then again if he did, he’d be seen as a suspect to the law enforcement and have a portion of his life taken away in jail till he is proven innocent. That scumbag is probably hiding in plain sight and being harbored by other homeless or section 8 junkies while he’s bragging about his “heroic” stabbing story. I’d love to see a piano fall on his head… or a diesel truck. Do black people mock you by talking a racist moron?